I put together this video to share the festivities during the Brandweins Torah dedication. Those who contributed toward the Torah Crown, are blessed to have a special spiritual connection with the new Torah. It was dedicated to Yeshiva Kol Yehuda in the Holy City of Jerusalem. This Yeshiva was established by Rabbi Ashlag in 1920. Some of you didn’t miss this rare opportunity and you are blessed. As you will see in the video thousands of Torah lovers came to the event, dancing and singing. 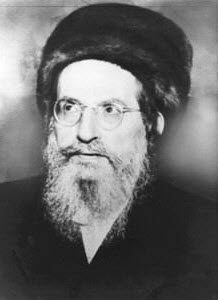 Among them was Kabbalist Rabbi Mordechai Sheinberger Shlita. He was a student of Rabbi Yehuda Tzvi Brandwein ZT”L and Rabbi Baruch Shalom Ashlag ZT”L, the son of Rabbi Ashlag ZT”L, Baal Hasulam. Rabbi Sheinberger founded and spiritually lead Ohr Haganuz, a very unique village in the north of Israel, conducting their lives according to the teachings of Rabbi Ashlag. The Brandwein family and I thanks all of those who contributed to Torah Crown. With your support we can do more.